Tim Hurrell had a great love of outdoor life and became a passionate mountaineer, photographer and naturalist. From family holidays in Wales, Scotland and the Alps, to adventures with the Cambridge Mountaineering Club and with his own expeditions, he travelled and climbed in many parts of the world. A keen writer, he recorded all his travels and adventures in Turkey, Iran, Afghanistan, Greenland and numerous trips to the Himalaya. Other than this record of the first ascent of Kuksar, he also leaves us a number of diaries, including successful climbs of Rishikot in the Hindu Kush and Huscaran in the Peruvian Andes. 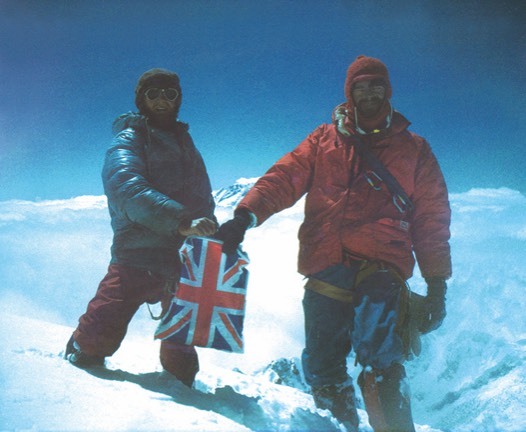 A Step Too Far - The Tragic First Ascent of Kuksar is Tim Hurrell's personal record of the 1982 Kuksar Expedition. Tim was a mountaineer and diarist of exceptional dedication and this record has been transcribed from his notebook with as few alterations and additions as possible.